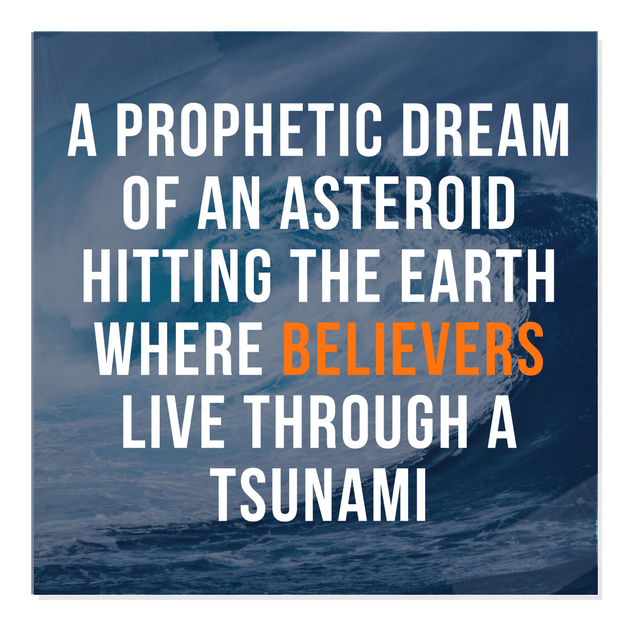 CONFIRMATION DREAM REGARDING THE ASTEROID- JESSIKA CRUZ (The Lord has shown this judgment to Jessika, her husband and their children. We have published their testimonies previously). And to my surprise, as further confirmation of what is coming, my husband, when he woke up in the morning, told me: “I dreamed something awful, I was on an island, do not know where, I was together with our son, and then comes a big wave, and I take my boy and hug him as protecting him, and I start to pray, and feel the tremendous force of the wave passing by us , but it did not affect us at all. Then I see that other people also escaped, but they began to celebrate, as if nothing had happened. And I tell them:”Look, climb to the top, anotherwave will come” They ignored me. Then, I started to climb with my little boy, up a mountain. We climbed to the top, and another wave came and washed away all the people who ignored the warning. It was really hard to see that, it felt so real… End of the dream. Brother, my husband and I dreamed, on the same night, similar things that the Lord has been showing us. It imoved me very much, really. And today, when I was driving from work, I thought to share these dreams, and to my mind came this: “Wow! 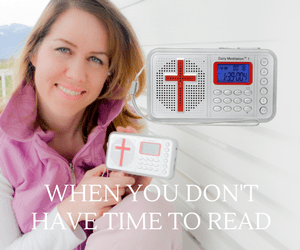 how our Jesus is alerting us, so there are no excuses that nobody knew. Even the stones cry out, and He still advocates before The Father, for our sake.” That came to my mind. Take heed and wake up! Yes, you who have read or heard this and/or other testimonies concerning the judgment of the Lord and His soon Return for His Church. For a long time, The Lord has been confirming this judgment, as well as His soon Return, to countless servants, watchmen, children, people of all ages, even to non-believers, and of many nationalities. Many of them had already received revelations, dreams and visions BEFORE Efraín Rodríguez started to speak of this judgment. It is not possible that everyone has just “come up” with the same story. Even many of you who now read this message, have received dreams, revelations and confirmations. You know it, and yet many of you have remained silent, out of fear of the opinion of your pastor, congregation, family, spouse, friends; or because you prefer to think that it was all your imagination. Read Ezekiel 33, and sound the alarm! Seek the Lord while He can be found, return to His Arms, alert and warn others, and don’t trust that you will go in the Rapture and that you will not see any judgment simply because you say “Lord, Lord!”. Many times in the Bible, God warned His people before His judgment, so they would repent and be prepared. God is love, but He is also a CONSUMING FIRE against sin and evil. Humble yourself before Him and ask Him if this warning comes from Him.